Today, I want to share a valuable lesson I learned during my time in the Amway business. That lesson was to go wide and go deep in your network marketing business. Going wide in your business refers to the people you personally sponsor. These are your front line distributors. Your first goal is to find 20 people who are ACTIVE in the business. To do this, you’ll probably need to sponsor about 100 people total. Going deep means helping your personally sponsored distributors build a large organization of their own, many levels deep. Your ultimate goal is to drive each leg at least 20 levels deep. This secures your leg and helps you build leadership in depth. In the rest of this post, I will explain those two concepts in greater detail. Let me start by telling you that width gives you instant profitability and depth gives you long-term security in your network marketing business. Width refers to anyone you personally sponsor and depth refers to anyone they refer, anyone those people refer, and so forth. If I had to choose between width or depth in my business, I would much rather have an organization many levels deep than just having a large front line. During your first three to five years in your business you want to personally sponsor as many people as you can, preferably 100-500 people as quickly as possible. As you do that you want to identify and work with your serious people and help each one of them build a large, stable organization. The deeper (more levels) you can go down in your group, the quicker your business will grow. The benefit of going deep is that it “locks in” your organization AND gives you long-term profits. If people have large teams they will be less likely to quit. And if they do quit, their organization will roll up to you. When you go deep, you will find more leaders who go on and build a large business of their own. Either way it’s a win-win for you. 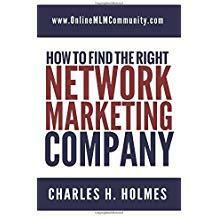 Think of your first few years in the business as building the foundation for your MLM Business. Just like building a large skyscraper it can take a year or two (or more) to build a solid, stable foundation. However, once you have your foundation in place, with at least 5-10 really good leaders, you can build a large organization quickly. During my time in Amway one of my mentors taught me to go 20 wide and 20 deep. He explained that you want to have at least 20 personally sponsored people earning a bonus check each month. Normally 6-8 of those 20 people would go on to build a sizable business of their own. Once you had your 20 personally sponsored people earning a check each month, your primary objective is to drive each leg of their organization at least 20 levels deep. By the time you got this finished you would have a MASSIVE organization with huge momentum and tons of competent leaders in depth. Most network marketing superstars never even make it this far. They typically have a monster organization before they even get to 20 wide and 20 deep. In either case, it’s still a good goal to aim for. Now I understand that every compensation plan is different. Some compensation plans limit how many people you can place on your first level. In every company, you can sponsor as many people as you want to. There are just different rules about how and where you can place them in your organization. I think the concept of going 20 wide and 20 deep is something everyone should aim for, regardless of their company or compensation plan. In order to have 20 ACTIVE personally sponsored people in the business earning a bonus check each month, you’ll probably need to personally sponsor about 100 people (individual results will vary). As you find serious people, you want to start working closely with them to help them build successful teams of their own. As you do this you want to keep personally sponsoring new people each month yourself. Keep repeating this process over and over and never stop. The bottom line is that going wide will allow you to find the key leaders to work with initially so you can build your organization many levels deep. Some of the best leaders in our industry have a few legs in their organization hundreds, even thousands of levels deep. You should aim for the same thing. Doing this with even a few legs of your organization will enable you to build a huge monthly income. I want to leave you with a few final things to remember. I’ll just summarize these lessons in bullet points to keep it simple. What are your thoughts about going wide and deep in your MLM Group? What tips can you share about it? Leave a comment below to let me know what you think. I look forward to hearing from you. Have a great day. This is a really smart strategy for maximizing business size and earning potential. Granted, I don’t think you should be striving to get all 20 people at the same time. As Greg mentioned you should definitely start with a smaller number to ensure you are effectively teaching them and guiding them so they can go on to grow their leg of the business. If you try to do too much at one time you’ll likely rob people of valuable learning experiences and knowledge. Yes, start with a few small legs and then expand from there. While these numbers may seem impossible, they are quite possible. It is a great goal to shoot for. I agree that to get 290 solid people, you will want to shoot for 100 or more. I personally believe that working with 5 at a time is better though, but still keeping the goal 20. When you get 5, start working with them to build some depth, and then go for the next 5. By doing it by fives, you will not overwhelm yourself.